Ahead of Nigeria's final group phase match, Coach Peter Dedevbo has declared that his girls need to toughen up for the battle against Spain. As reward for a courageous performance against Canada, in which the girls came from behind to win 3-1, the players were given a rest day on Thursday. In place of the normal training sessions, the Falconets were allowed to swim for one hour. While banking on divine intervention for victory against the Spaniards, Dedevbo says he will embark on a total make –over for the all –important encounter on Sunday. "After every game, we go back to x-ray our areas of weakness and strength. The match against Canada was very challenging but I am happy with the eventual outcome. To progress in this tournament, we need to toughen up for the last match against Spain and I believe that God will grant us success. "We are going to work on all the departments of the team from defence to attack. The fact that we defeated Canada does not imply that the team is hundred percent compact. The Falconets confront group leaders Spain on Sunday (starting from 7am Nigeria time). 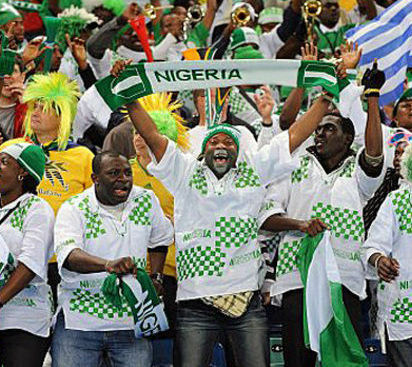 Nigeria needs to win while hoping that Japan does not get a win against Canada in the other match of Group B.